. 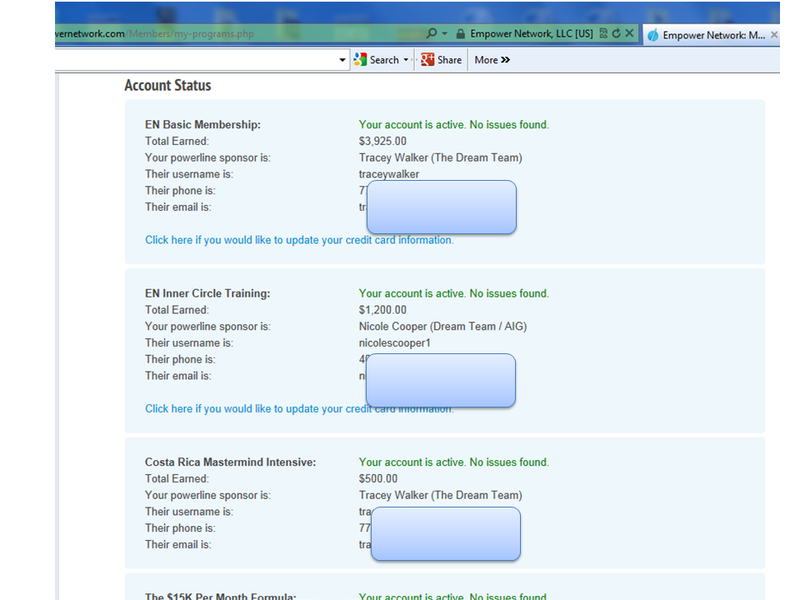 : Since Re-Launching Empower Network!!! In January, I announced that I was Re-Launching My Empower Network Business!!! 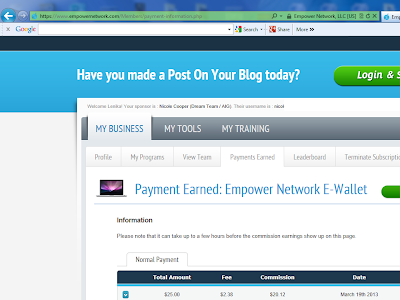 Sooooooo how have things been Since I've Re-Launched My Empower Network Business ask that question???? 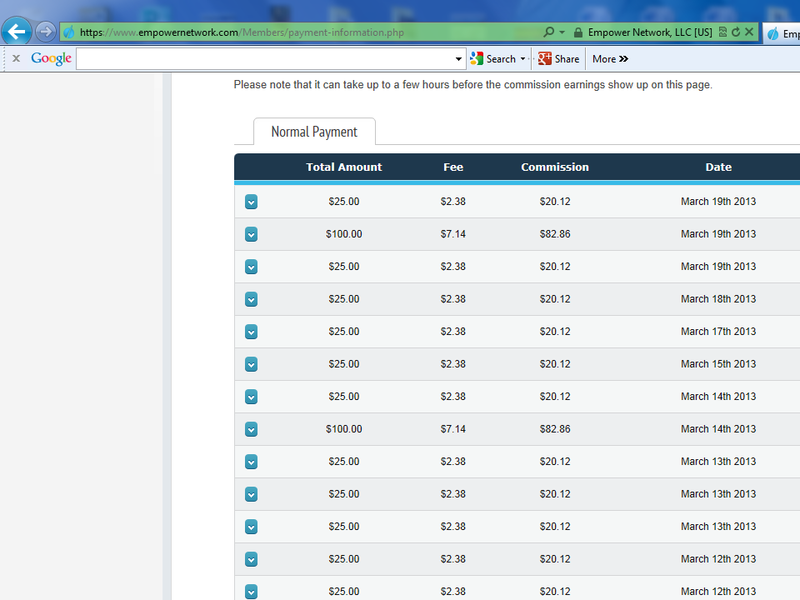 Things have been going GREAT since I've Re-launched my Empower Network Business!!!!!! This is one PROUD WORK AT HOME MOMMY!!!! I have been working on completing projects in my Web Design Business as well as trimming away the fat and cutting off some other business comittments to clear that path for me to Focus more in Empower. I know that ANYONE can get results!!! YES!!! You can get Online Results with EN!!! If you look at the back office reports below you will see for yourself that income has come in ALMOST everyday and this month IS NOT complete. Well...these products are where the RESIDUAL INCOME is earn every single month! 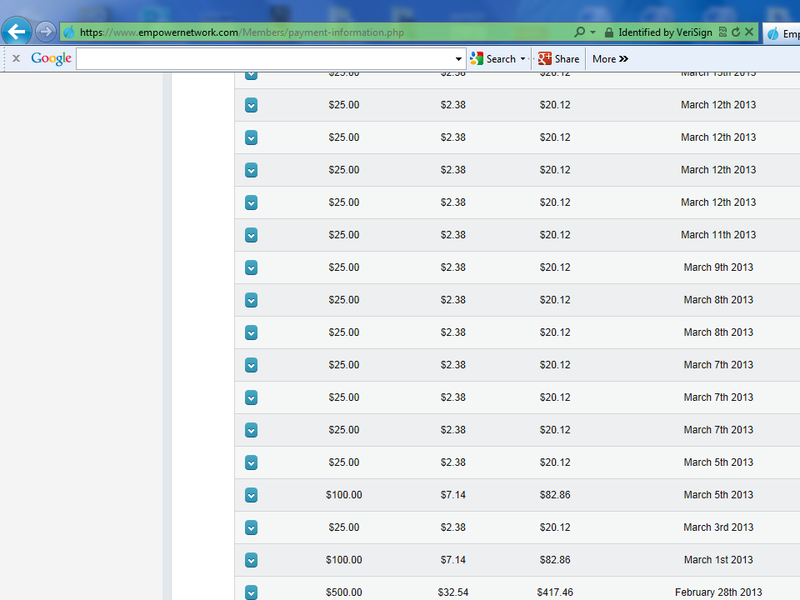 So, the sales you see below is a reflection of the RESIDUAL INCOME that I am earning with Empower Network! And MONTH AFTER MONTH I will earn 100% Commissions again from the source! 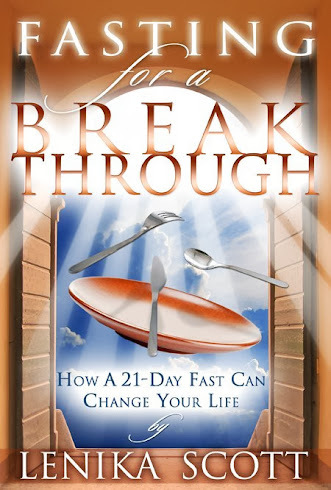 The Formula they teach in Empower Network is simple! 4th month you will well on your way to earning 6 Figures Per Year Online! This System is EASY & the system is AMAZING!!! Since Re-Launching I've woken up MANY times to a New Person Enrolling! Since Re-Launching I've made money while I was out to lunch with my daughter Jordan! Since Re-Launching I've met somemore AMAZING people online! 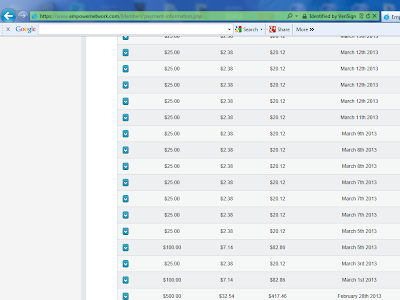 Since Re-Laucching I've been able to MAKE MORE MONEY ONLINE!!! Again, All we have to do is Market Every Day and Blog Every Day!!! Effortless Mastery and Effortless Income Generation!!! ABOUT 30 SALES MADE ONLINE!!!! 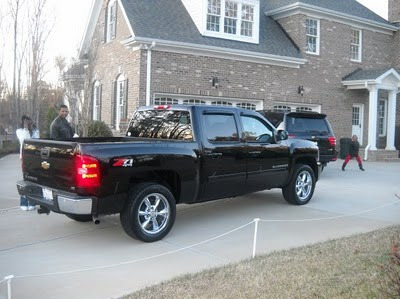 No Home Parties, No Weekly Meetings, No Driving Across Town with Products in the Car, No 10% Commissions!!! 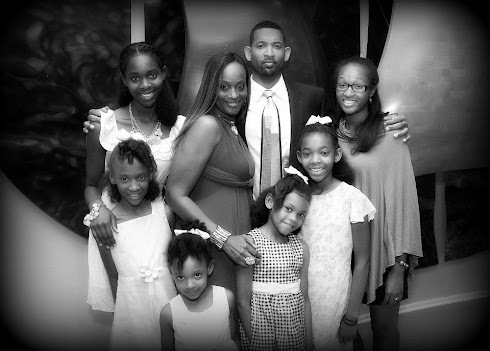 If you haven't seen this post yet CLICK HERE to see "WHY" I Re-Launched My EN Biz!! !